Older iPhone parts can be hard to find. With newer iPhones coming out every year, older models are being tossed aside and left forgotten. It is because of this that replacement parts are even harder to find and rarely, if ever, made. How can this be? There are those who upgrade to newer iPhone models once it is released, but there are also those who continue to stick with their trusty older iPhone models. These older iPhones work well. Why upgrade to a flashier, more expensive model when the phone you have works just the way it is supposed to? If you’re answer is because you can’t find replacement parts for your older iPhone, then keep on reading. iDemiGods is an online store with all kinds of iPhone and other device replacement parts for older models of the iPhone like iPhone 5 parts, iPhone 6 parts, iPhone 1st Gen parts and more. If you are like me and still use your Apple iPhone 5 because it works well, has everything you need, and performs just as you expect, then you probably also find no reason to upgrade to a newer iPhone model where you would just have to spend more money. Or maybe you do think about upgrading. Why? Is it because the touch screen on your phone is cracked and you can’t find a replacement? Maybe the charging port doesn’t work well or perhaps the battery loses power too quickly. Has your Home button been pushed too many times and now sits at an odd angle that you really have to try hard to make work? Whatever the case, all of your stress can be eased with iDemiGods. No need to invest in a newer iPhone model; iDemiGods has the replacement parts for your iPhone 5, iPhone 5C, iPhone 5S and more. If your iPhone 5 battery doesn’t last as long as it used to, iDemiGods carries iPhone 5 replacement OEM batteries that are affordable, new, and come with a 6-month warranty. This replacement battery comes with an 8 piece tool kit for you to replace the battery at home yourself. With a Moderate install difficulty level, you’ll find it won’t be too troublesome replacing the battery, or you can simply take your replacement battery to an Apple authorized repair center and have them replace it for you. No matter their cost, it is sure to be lower than what you would pay in a completely new phone. Perhaps your screen is broken. If this is the case, iDemiGods has iPhone 5 Full Digitizer LCD Screen Assembly in both black and white. Their screen replacements are incredibly affordable, come new and with a 6-month warranty. While these screen replacements have a difficult installation level, you can easily order this item, get it shipped directly to your front door, and then take it to your nearest authorized repairs parts center and have then replace the screen for you. Whether you need replacement iPhone 5 parts, iPhone 7, iPhone SE, or iPhone 1st Gen, 3rd Gen or another model, iDemiGods is sure to have it all. Simple visit them online at iDemiGods.com, make an order, and get 5% off when you use the code listed on their website. Apple products are a huge investment, so it’s time you start treating the parts and pieces with the utmost care. 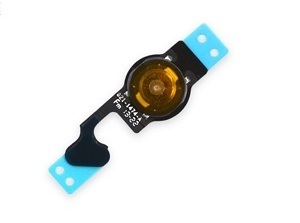 iDemiGods is a worldwide one stop shop supplier for Apple and other device replacement parts. We sell everything you may need to repair or replace parts on your Apple devices, such as iPhone, iPod, and iPad, and even some Samsung devices. Our parts are available at more affordable prices but are of the same high quality and perform as if they came with your original device. Don’t get scammed into buying expensive batteries when you can buy iPhone batteries from iDemiGods for less. While replacing a battery can seem like a daunting task, we do have the tools to help you do this yourself. If you buy an iPhone battery from iDemiGods, you will receive an 8-piece tool kit to help install the battery and all supplies needed to pop open the back of the phone such as pry tools, mini screwdrivers to remove the tiny device screws, suctions cups, and picks. All of our batteries are OEM, which means they are original equipment manufacturer so you can be sure that it is made with high quality materials. After you buy iPhone battery replacement from iDemiGods, you will want to make sure that your charging cable is up to date as well. After installing a new battery, we recommend draining it to below 10% and then charging it to full capacity. Our Apple Lightning to USB charging cables are made to sync your iPhone, iPad, or iPod with your Mac or Windows PC and come with a 6-month warranty. We have all been guilty of tangling up our ear buds to point of no repair. If that is the case with you, order a new pair of Apple iPhone Headphones Earbuds Earphones with Microphone for only $7.30. These ear buds come with high sound quality, a comfortable fit, and a stereo headset. The microphone is fitted with a windscreen for great clarity and works as the send/end button for answering calls and controlling music playback, just like your original headphones that came with your newly purchased device. While you’re at it, don’t forget to check out our accessories such as the NuGlass tempered glass screen. This glass cover is available for iPhone 5S/5C/SE to iPhone 7 Plus and 8 Plus. Our LCD guard film screen protector is designed for iPhone 3G to iPhone 4S. We also offer glass coverings for certain iPod touches as well. iDemiGods always makes sure that you have the best experience for replacing or repairing any iPhone parts. From screw trays to pry tools to adhesive tapes, we have some of the most important tools you need to replace your iPhone parts with ease, and we have everything you might need to keep your iPhone or other device working and looking like new. Order your replacement parts by visiting our website at iDemiGods.com! Can’t find what you’re looking for, reach out to us today and we’ll help you find exactly what you need. The world runs on devices that can be taken anywhere and everywhere on the go. Wherever you go, you are sure to see people with laptops, but more and more people are opting to save the space and carry their smartphone or tablet. As with all electronic devices, constant use will eventually cause the battery to drain and deplete, leaving you with the decision to either replace the battery or get a new device. For many people, getting a new device is the easier option. By the time your device even needs a battery replacement, there is probably a new model that you would prefer. What if that new model is too expensive or you like your current device and don’t want to learn the new features and operations of the device? Getting a replacement battery can be much more cost effective for you than buying an entirely new device. At iDemiGods, you can find iPad 4 battery replacement that will keep you on the go like you wish and allow your device to run as good as new. Usually, there are warning signs that the battery in your device is starting to lose power. Depending on your use of the device and the frequency with which you charge the device, you may start to notice at a certain point in your device’s life that the battery just doesn’t work like it used to. There is a way to check this. In the settings feature of an iPad, you can view the battery capacity. In top condition, it runs at 100 percent. Over time, it can decrease the amount of time you get per charge in half. 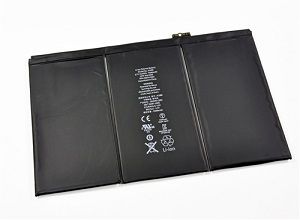 Once you realize that the battery does not work as it did before, you can consider getting the battery replaced. Some of us get attached to our devices. We become very accustomed to our devices and like the familiarity we develop. Everything has its place and just because the battery starts to hold less of a charge does not mean we want to give it up that easily. A battery replacement can make all the difference and allow you to keep your device for much longer. It’s also a great way to save money. Imagine having a phone or tablet that lasts for three or four years. During that time, one or more new devices debuted and were the talk of the town. To upgrade, you may be spending hundreds of dollars more than you have to, especially to get a device that you feel just has to be learned. 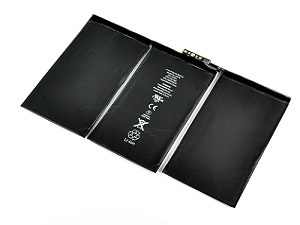 At iDemiGods, you can get iPad 4 battery replacement, iPod, and Samsung battery replacements. iDemiGods is your source for all electronic parts that can make your phone or tablet work like new. Check out the wide selection of parts available on the iDemiGods website and consider replacing the battery in your devices to extend their life and get much more out of the device. iDemiGods has all of your electronic repair parts, tools and accessories to keep you moving and in touch with your loved ones and the rest of the world. While some people like the ‘closed case’ design of Apple’s flagship products, the charm tends to wear off after your battery stops holding a charge. Even the most sealed of PC laptops still allow for battery replacement, even if it requires a pretty steep dismantling. So, what should you do if you, for instance, need an iPad Mini battery replacement? To start, you should understand everything that needs to go into your decision-making process. First, it’s best to accept that what you thought you’d have to do to preserve your warranty – sending it in to Apple – may not be what you actually want. You see, if your battery fails in your iPad Mini, replacement isn’t actually what you get out of your $99 service fee. Instead, Apple has deemed it more efficient to simply send you a new device entirely. While this may sound better in some ways, the hitch is that it will come with none of your personal data. Instead, you have to back that up yourself via iTunes. Depending on how bad your battery situation is, this might not be an option. The next thing to consider is your warranty. Doing any work on an Apple product will void your warranty entirely unless you do it through Apple themselves. Even something that seems as simple as an iPad Mini battery replacement, no matter how effectively a technician can perform it, will render your warranty completely null. Going through a third party to replace the battery may or may not be an option then, depending on how badly you value your warranty. If you already have a voided warranty, this doesn’t apply to you. If your device is under warranty but only rarely used, you may not need it as a lifeline. However, you may want to reconsider seeking third-party maintenance if it is a crucial device for your work, education, or day-to-day life. Finally, you should think long and hard about whom you trust with your device. Not everyone who advertises on the telephone poles around town necessarily knows what they’re doing, and more importantly, they don’t necessarily have your best interests in mind. Trusting your device to someone means trusting your data to them, and that usually isn’t the wisest option. Even if you’re just trying to get the most out of your iPad Mini, a battery replacement leaves your device vulnerable to whoever does work on it. It’s best to go with a firm large enough to have resources, but small enough to have a trustworthy reputation. iDemiGods is a good example; they’re staffed by customer service-focused individuals and all in all make themselves easy to communicate with, which makes it significantly easier to work with them. If you’re not ready for a dying battery to decide that your Apple product has given up the ghost, you have alternatives to replacement. However, replacing the battery alone is a little more complicated. Make sure you do your due diligence and consider all the factors before committing to a decision. Are your favorite devices not operating at their best? Even the best-made mobile phone or tablets eventually start to slow down, but this does not mean it is time to buy a replacement. For those of us still using an iPad Mini 2, many issues can be quickly resolved with an iPad Mini 2 battery replacement. It was not all that long ago that the only technological device in most homes was a single computer. Now everyone has one, plus a laptop, a mobile phone, and a tablet; the list goes on and on. Each of these devices provides some unique benefit to our work or personal lives that make them an essential part of everyday life. So when they begin to slow down or bug out, it can have major consequences if not fixed soon. Some people want the latest devices so badly that they are willing to wait outside for many hours at a time just to get one. Then there are those who choose to stick with the device they have had for a number of years because they enjoy the consistency. Many users still hold onto their iPad Mini 2 because it still holds up as one of the better iPad models. In fact, the iPad Mini 2 is still compatible with Apple’s latest operating system, iOS 12, despite being released more than five years ago. Users enjoy the practical and affordable benefits it can bring compared to some of the newer models, but, as the saying goes, every dog has its day. The time will eventually come when the battery in your iPad Mini 2 will run out quicker than usual or may struggle to recharge. While most Mini 2 owners respond to this problem by tossing their device into the trash, the best and most financially sound option is to order an iPad Mini 2 battery replacement. This costs a fraction of what another Mini 2 or newer Apple product will cost and lets you continue to get more of what you are used to from your favorite device. Learning how to replace the battery yourself could also turn into a funny little hobby that will help you save even more money and maybe help earn you some more by becoming the go-to person for broken phones or tablets. You might think that the only way to get a new battery for your Mini 2 is through the Apple store, but there are more affordable options available. Retailers like iDemiGods sell the parts and tools you need to keep all important devices running as good as new, no matter how old they are. Whether it is an iPad Mini 2 battery replacement that you need or something for your phone or music player, they carry supplies for Apple and Samsung products dating back to the early 2000s. Save yourself the trouble of a long search and go straight to iDemiGods.com right now to find affordable replacement parts and tools that will have you glad you didn’t waste money on an entirely new device. If you take care of your things, you just might be surprised by how well they can take care of you. Your wallet is just one of a number of places where this kind of care can be felt and have a very positive impact. People who are considering whether or not to replace their iPad Mini 4 because of slow operation, for example, will be able to save themselves the financial burden of buying a whole new iPad by choosing to replace their iPad Mini 4 battery instead. For many of us, Apple products are essential tools in our everyday lives. They are great for getting our work done or just lounging around the house on a relaxing day. Over the years, they have been able to keep up with the changing demands of the world around them and provide users with an unparalleled experience. It is what has turned Apple into arguably the most recognizable brand in the world. Really, the only concern people have about Apple’s great items is the price tag, but taking good care of these products is easier than you might think and a great way to save you money. Take the iPad Mini 4 battery example mentioned above: Mini 4’s are still a popular option because of their size, portability, and because they are a reliable tool that can still run all of the most recent updates. While the life expectancy of the original battery will inevitably wear out, you can still keep your iPad Mini 4 running like it always does by simply replacing the old battery with a brand new one. Doing so will cost you a fraction of what you would have to pay for a new iPad Mini 4 or a more recent model. You will be thanking yourself that you didn’t go out and overpay for a new model that will become outdated within a year and avoided the messiness of trying to convert all of your stuff onto a new model. Much like with a car, you would not get rid of the whole thing just because a few small parts need to be replaced. Unfortunately, these fixes are not as simple as heading down to the local mechanic. Many shoppers don’t even consider looking for replacement parts for older products because they just assume that no one sells the specific pieces they need anymore. While they are not as prevalent as when they were brand new, replacing parts like an iPad Mini 4 battery is still very much possible thanks to vendors like iDemiGods. These sellers provide a quick and painless shopping experience that will have you glad you didn’t call it quits on your current Apple Product and fixed things yourself the old-fashioned way. iDemiGods is ready and waiting to meet your phone or tablet replacement needs. Their website, iDemiGods.com, has a wide range of parts for Apple products both new and old. They also sell parts for Samsung products and tools that can help make replacing parts an easier process. Visit them online today and see for yourself everything they have for you! Do you really want to know the best part about owning a device like the iPhone 7 Plus? It’ll never go out of style, no matter how old it gets. It still has those classic features that every other iPhone has. You can even replace the parts if time has caught up to them. At iDemiGods, we really put emphasis on that last bit. We provide the iPhone 7 Plus parts you need to keep your phone updated, looking new, and working like it should. 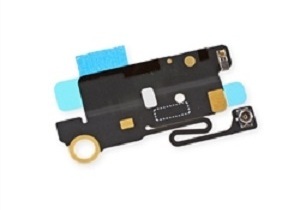 You’ll be able to replace that phone screen or battery within days with the reasonable prices and plethora of parts we offer at our online store. Since 2005, it has been our goal to provide the necessary parts and accessories needed to fix or tune up your mobile accessory. As more and more newer iPhones are coming out, our goal is to help those who need it with the right parts to fix their older iPhone versions rather than spending more money on a replacement. If you browse through our website, you will find that our online store is incredibly easy to navigate to help our customers find exactly what they need. Look at our different categories and easily find what you need based on which iPhone or device you have. 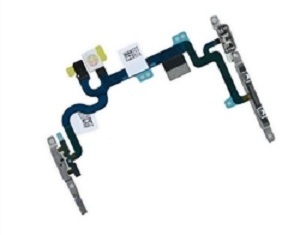 We also sell parts for Samsung for those who prefer android over iPhone. Some of our iPhone 7 Plus parts include Full Digitizer LCD Screen Assembly, replacement OEM battery, battery adhesive strips, front camera and sensor cable, dual rear camera lense cover, earpiece speaker and mesh, foam pads, screws and screw tray, SIM card tray and much more. 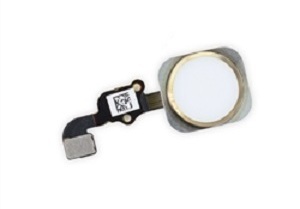 Aside from our iPhone replacement parts and accessories, we also carry iPad and iPod parts along with iFlash Adapters. We carry parts for the iPad Air 1st Gen, iPad Mini 2 Retina, iPad Mini 1st Gen, iPad 1st Gen, iPad 2, 3, and 4. Our iPod selection includes parts for the iPod Touch, iPod Classic, iPod Nano, iPod Mini and more. 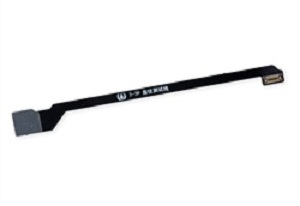 We also carry a variety of tools to assist with your replacement such as the iSclack and other brand Opening Tools, iPad Metal Spudger Pry, Tray Mats, adhesive strips, screwdrivers, and much more. Simply browse our website and see for yourself. We don’t disappoint with our deals either. You can check out with your shopping cart and apply the code that we have listed at the top of our web page! Enter it, and you’ll be entitled to a 5% discount on your purchase. When a customer such as yourself is loyal to our shop, we want to let you know how much we truly appreciate it by giving you these deals. Visit our website today to find all of the latest products we have on sale for your device! If you have any questions, fill out a form on our contact page, and we’ll have our customer service team respond to you as soon as possible! We rely on our mobile devices so much for all of our daily activities that when our phones break or our phone screens shatter, it can be a huge, frustrating inconvenience. Phone repairs can be costly – especially if you settle for lesser known phone repair companies or distributors who aren’t dedicated to giving you the best value for your money. Since 2005, iDemiGods has been providing customers with the top quality repair parts, tools, and accessories you need to service your devices at a great price. While we initially began selling parts for the original monochrome iPods, we have consistently been keeping up with all of the latest devices and technologies in the market; for example, we have products from first generation iPhones to iPhone 6S Plus parts to the newest iPhone X accessories. Today we offer a wide range of products including parts for iPhone, iPod, and iPad, iFlash adapters, Samsung products, replacement batteries and general tools. No matter what type of device you currently have, we have the parts and accessories you need at iDemiGods. With so many products currently on the market, it can be confusing to even know or understand which device you have and which parts you need to fix it. That’s why we have a helpful guide that will allow you to know which type of device you are using and which parts specifically go with your device. Maybe you have an iPhone but are completely lost when it comes to knowing which generation of the iPhone you have. You can look at our guide “What Device Do I Have?” available on our website. After looking through our guide, you now know that your device is an iPhone 6S Plus. Thanks to our guide, you can now easily browse through our website for the iPhone 6S Plus parts you need. Whether you’re looking for an LCD replacement screen, a Nano SIM card tray holder, or a home button, we offer iPhone 6S Plus parts with quality prices ranging from $0.99 to $74.99. How Do I Know What Parts I Need? Our website’s easy-to-use navigation along with our “What Device Do I Have?” guide makes it even easier for you to understand which parts or accessories you might need. All of our products will include a photo and description details including which device the product is compatible with, the availability and price of the item, and any qualifying specials or sales that are currently running on promotion for that item. If you’re still unsure of what products you need for your device, our customer service team is always happy to assist you with any questions or concerns. Submit a message to us with your question and all of your contact information and we’ll be sure to get back to you as soon as possible. In a world where we can easily connect with each other through our devices, we’re happy to offer worldwide shipping with suitable shipping options no matter where you’re located. We know how important your devices are to you, so let us be your one-stop shop for iDevice repair parts, tablet parts, batteries, and more! You spent a lot of money on your Apple product, so why are replacement parts so expensive? Well, they don’t have to be anymore. iDemiGods sells replacement parts that are OEM for all different Apple products from iPhones, iPads, iPods, and even some Samsung devices. Our parts are authentic factory parts that are guaranteed to be cheaper, but still high quality to make sure that you are getting the best parts to repair or update your device. iDemiGods is a worldwide distributor of Apple parts and has parts for almost any model made over the years. We sell many different iPhone SE parts to help repair or upgrade your iPhone SE. We have over fifty parts that can be used to repair your iPhone SE safely and effectively in the comfort of your own home. Dropping an iPhone will make anyone feel upset, frustrated, and of course, worry about how to get it fixed. Stop getting ripped off by mall iPhone screen repairs, and start buying your own parts at a more affordable price. Some of our iPhone SE parts include the iPhone SE Full Digitizer LCD Screen replacement for only $21.50. This replacement screen comes with a pre-installed earpiece speaker mesh, front camera bracket, cable foam pads, and sensor bracket. Once you order your screen, you can simply take it to a trained professional to get it installed. We don’t recommend changing this yourself unless you are confident in your ability to do so. You can also purchase our NuGlas Tempered Glass Screen protector to keep your new screen clean and safe. The screen comes in a black or white option so that you can choose the best option to fit your iPhone’s color. 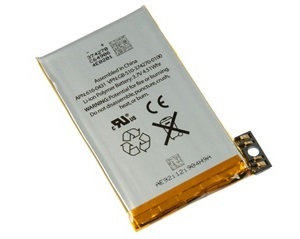 We also sell an iPhone SE replacement OEM battery for only $10.90. Get the iScrews iPhone screw tray mat for iPhone 5S/SE to help keep all the screws in order during your repair session. We offer all the tools necessary to do an at-home battery replacement including a wide array of opening tools such as an iFlex, iSesamo, or iPlastix opening tool, all of which feature a steel or plastic blade and a “no-slip grip” handle so that you can easily and safely open the back of your iPhone. Our full screw set is perfect for replacing the screws in iPhone 5/5C/5S/SE should you lose or break any after a drop. The battery replacement also comes with a full 8-piece tool kit that includes a 5-point pentalobe screwdriver, Phillips screwdriver, slotted 2.0 screwdriver, two pry tools, one suction cup, and 2 picks. The battery installation also requires zero soldering so it can easily be installed and repaired in no time. Changing out an iPhone battery is labeled as a moderately difficult task and should only be completed once you are comfortable doing so. Order your iPhone SE parts today from iDemiGods; we ship all orders within 1-2 business days and ship in both the US and Canada. So, visit us online today at iDemiGods.com! Nothing is more upsetting than seeing those spider web cracks running through the screen of your phone and immediately thinking that it will cost too much to fix. Well, now you don’t have to feel that way. iDemiGods sells you OEM Apple device replacement and repair parts that make your iPhone, iPod, or iPad seem like it’s right out of the box. The iPhone 7 is a big investment, so naturally, you’d want your iPhone to last long and be made of parts that are truly top notch and high quality. iDemiGods takes pride in our iPhone 7 LCD screen replacement because, like most of our Apple replacement parts, the LCD screen is sent to you new and comes with a 6-month warranty. We know that while Apple products are expensive and special, there is always a chance of breaking parts and pieces, so we make sure that we are your one-stop-shop for all Apple parts from batteries to LCD screens to smaller parts like screws. We are all guilty of that true feeling of panic after dropping our phones on the ground and hoping that our screens are safe when checking. Our iPhone 7 LCD screen replacement and digitizer is one of the cheapest replacement screens you will find on the market and comes in both black and white to match your phone’s facade. Just because the price is low doesn’t mean you are losing out on quality; this screen replacement comes with preinstalled earpiece speaker mesh, camera bracket, foam pads for the cable, and sensor bracket. This replacement screen is currently available for $44.50 and is rated as difficult to install, so we suggest taking it to a skilled DIYer or authorized replacement center. Given the chance you will want to do this yourself, we do sell an iPhone 7 screw mat to help stay organized with all the pieces. In addition, check out our tools designed to open your iPhone and make this process easier. Protect your iPhone screen from any type of future damage and check out our NuGlass Screen Protectors. The iPhone 7 Tempered Glass NuGlass protector is available for the iPhone 7 or 8 and features an advanced silicone adhesive that makes for easy assembly. The four-tiered layer composition is anti-scratch, oleophobic, heat resistance, and electrostatic. Wondering where your iPhone 7 replacement parts are coming from doesn’t have to be a worry anymore. iDemiGods has everything you may need to fix or repair your iPhone 7, and we ship everything within 1-2 business days of purchase. Order today from iDemiGods.com to fix your phone on a budget.